Jiping Liu’s book, Liquid Explosives, presents a well-sourced summary of research developments in the field. The author, affiliated with the College of Materials Science and Engineering at the Beijing Institute of Technology, delivers a roundup not just of his work, but of experiments and scientific knowhow gathered from the latest findings around the world. As might be obvious, liquid explosives are more readily suitable for applications where their solid equivalents cannot quite work. Of special importance is the book’s reminder about the range of potentially useful applications: from more readily apparent ones, such as mining and construction, to those less apparent, such as aerospace and communications satellites. 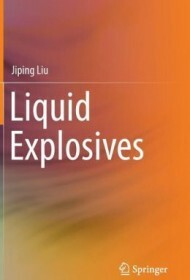 The text expertly provides a comprehensive and quick overview while further exploring specific types of liquid explosives (liquid nitrate ester and azido liquid explosives, for example) in later chapters. The author largely succeeds in his primary goal: to review the current status of liquid explosive research and development, to provide instruction for studying liquid explosives, and to enlighten researchers of energetic materials. While the information is presented in understandable language and easily digestible chapters, it is highly technical, and readers will need a working knowledge of advanced scientific principles (including organic chemistry) to get the most from the volume. Extensive lists of works cited at the end of each chapter provide a solid source for further information. Occasional pictures, most of which show laboratory equipment, break up the text but contribute little else to furthering the absorption of the material. Heavily academic, this book will serve as a helpful volume for industry experts and a handy and useful primer for engineering and science professionals looking to brush up on the basics before diving further into this specialized field.